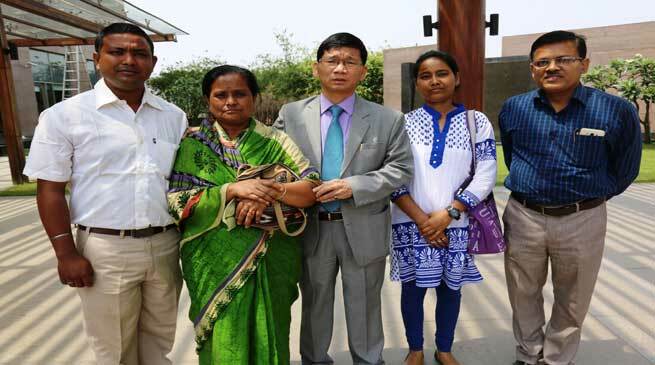 The death of 55-year-old driver, Abal Bahadur Bishwakarma, might not have invited anybody’s attention – but it surely caught Arunachal CM Kalikho Pul’s concern who in a humanitarian gesture extended a helping hand to late Bishwakarma’s family. Late Bishwakarma, the sole breadwinner of his family, was a driver serving in the office of Deputy Resident Commissioner (DRC), government of Arunachal, Guwahati. He is reported to have died recently due to liver cirrhosis and is survived by his wife, a 25-year-old daughter and a 27-year-old son. Upon learning the news of Bishwakarma’s death through a DRC official upon arriving at Guwahati, the CM immediately called for the grieving family members and offered his sincere condolence. Paying homage to his service for the government of Arunachal Pradesh, the CM assured livelihood support for the family. In a humanitarian gesture, he immediately ordered the deceased’s son to be employed at the DRC office in Guwahati as contingency employee, and offered monetary compensation through his personal means to the grieving family members.